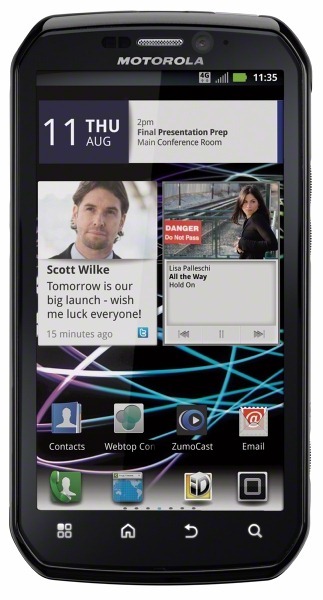 If the DROID Bionic Ends Up Being Verizon’s Version of the Motorola Photon 4G, Will You Be Disappointed? All talk around these parts has been about the DROID Bionic lately, since well, it was announced almost 8 months ago and was supposed to be the device to change the Verizon world. Since Motorola and Verizon can’t seem to get it to work properly with 4G LTE though, companies like Sprint have swept in to release a phone that many are thinking is exactly what we’ll see from the Bionic, the Photon 4G. I’m just wondering if we’ll all be disappointed by the time it gets here if indeed it does end up being nothing but a prettier version of Sprint’s beastly 4G phone? 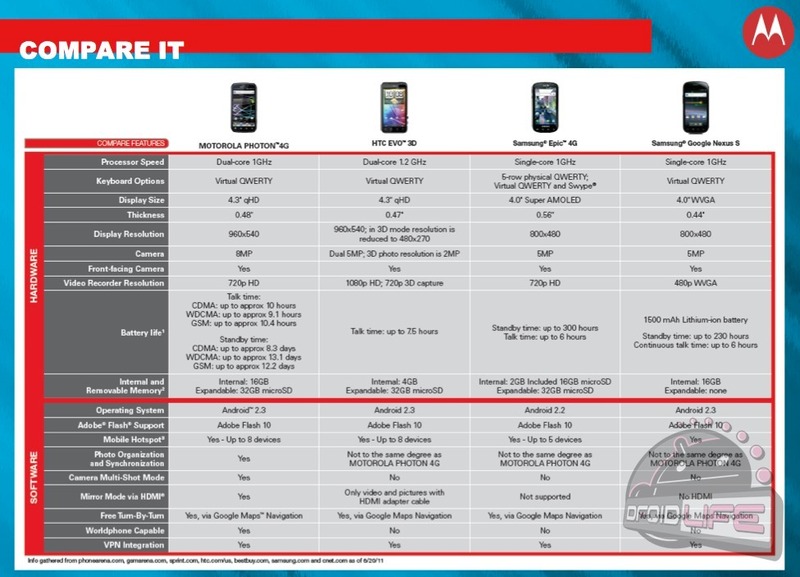 We’ve been handed the the Photon 4G training guide (in the gallery below) by our friends at Motorola and I’ve got to tell you, that I don’t see the Bionic ending up any different except in the looks, processor and price departments. We are fully expecting the Bionic to run on an OMAP4 dual-core processor, retail for somewhere around $299 on-contract, and have a much more refined look than this jagged-edged thing that’s headed to Sprint. But the other specs all appear to matchup: 8MP camera, front VGA camera (2MP has been rumored, but would surprise us), 4.3″ screen (4.5″ rumored, but unlikely), 1GB RAM, 4G, Android 2.3 (Gingerbread), HDMI-out, webtop app and accessories, and the newest version of Blur that can be found on the DROID3. Or is it possible that Verizon and Motorola have a surprise up their sleeves? It’s pretty obvious that the Photon 4G has a super impressive set of specs, but the Bionic has been lifted to this status that would be hard for any device to live up to. Are you OK with the Bionic being Verizon’s Photon or do you want more? I’d love a surprise to be packed in like a 4.5″ screen that’s not a PenTile matrix or upgraded front shooter, just not sure either are happening. *Note – the spec list below says 720p for the Photon, but that’s clearly wrong.